JOHN K. ADAMSKI“Together Again” AUSTINTOWN – John K. Adamski, 86, passed away early Monday morning, Dec. 26, 2016, at his home. John was born Feb. 27, 1930, in Warsaw, Poland, a son of the late Alexander and Janine Opaleski Adamski, and came to America and this area in 1949. Mr. Adamski served in the Polish military as a youth during World War II, where he and his family helped transport and shelter Jewish people from Nazi persecution. After arriving in America, John served in the U.S. Army during the Korean War, and he subsequently worked as a welder and in fabrication for Youngstown Steel Door for 45 years. John was of the Catholic faith. 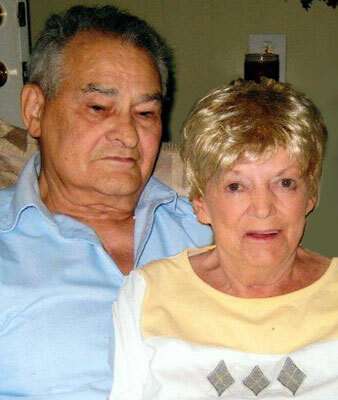 His wife of 51 years, Hazel M. Campbell Adamski, whom he married Sept. 10, 1960, passed away Oct. 12, 2011. Mr. Adamski leaves four grandchildren, Jacob, Jace, and Jayden Adamski, and Demi Cipolla. Besides his wife, two sons, Todd and John Adamski, and a brother, John “Henry” Adamski, are deceased. Family and friends may call from 11 a.m. to 1 p.m. on Thursday, Jan. 5, at Kinnick Funeral Home, 477 N. Meridian Road in Youngstown, where funeral services will take place at 1 p.m.
Interment will follow at Green Haven Memorial Gardens, where John will be laid to rest next to his wife and sons. Please visit kinnickfuneralhome.com to view and share this obituary, and to send condolences online to John’s family.